The civil organisation ‘Tijiohtli’ is active in the Mexican mountain region Sierra Norte de Puebla. Here it manages a school, whose educational offer aims to strengthen the potential of pupils as proactive members in their communities. 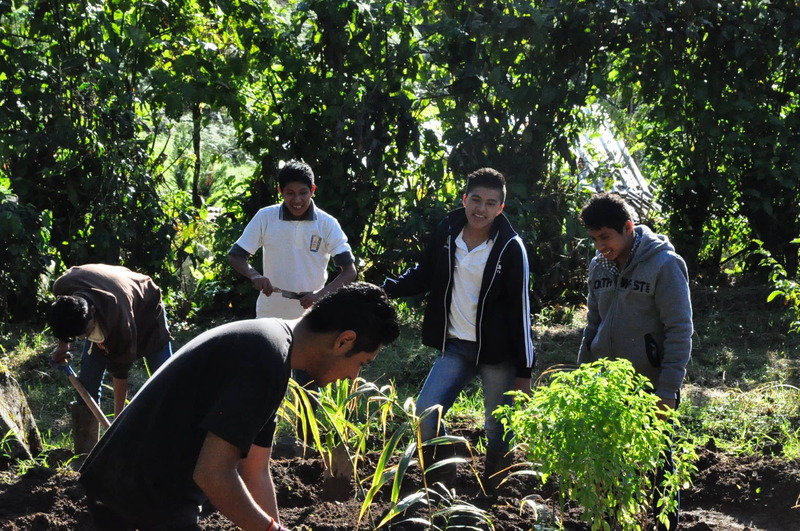 A total of 32 indigenous youths are trained in their entrepreneurial and agricultural skills while a sustainable lifestyle in rural Mexico is promoted. The organisation is receiving financial support from the Lemonaid & ChariTea Foundation to execute the project. Tijiohtli was founded in 2001 and is active in the southeast of Mexico, in the community of Cuetzalan del Progreso in the state of Puebla. This region is home to many people who belong to the Nahua population group. With 2 million members, the Nahua represent the largest group of the approximately 10 million indigenous people often living on the fringes of Mexican society. In the mountainous region of Puebla, many of the Nahuas live in villages that are difficult to access. They earn their living by growing staple foods such as maize or keeping livestock. 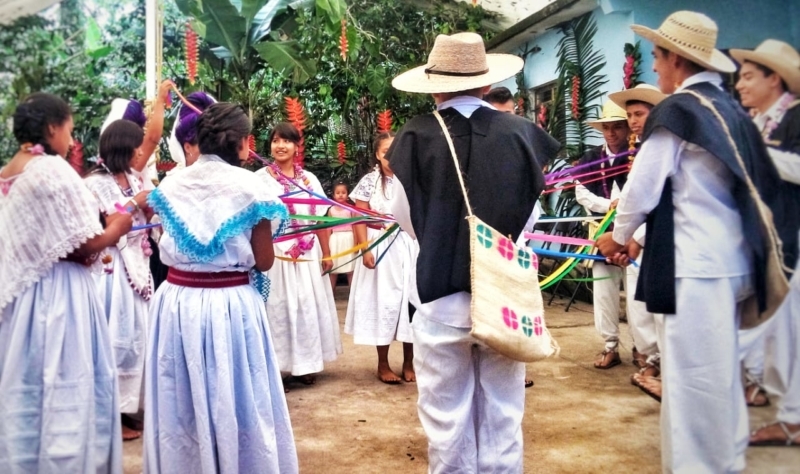 The organisation Tijiohtli pursues the goal of supporting young people from the region in dealing with the current economic and social conditions. This is achieved by providing technological and communicative tools through vocational education, while focusing on the rural and cultural context. This approach enables young people to build and maintain a productive relationship with their indigenous communities of origin. Although there are several schools in the region, most of those are poorly equipped and lack teachers. The better schools in the city are hardly accessible to the rural population due to the weak infrastructure and the resulting high transport and food costs. 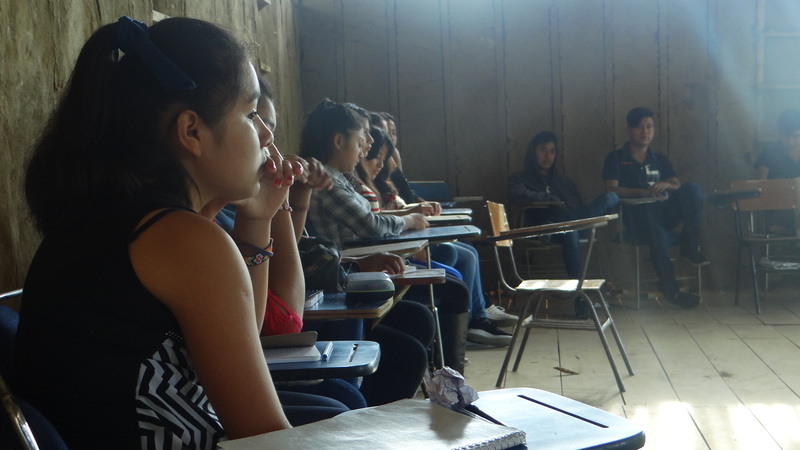 To address this problem, Tijiohtli manages the BTNC School (Bachillerato Tecnológico Náhuatl Cuauhtlatoatzin), an affordable high school in San Andrés Tzicuilan. The school is based on an educational model, which is developed for education in rural areas and indigenous communities. Currently, 32 students, aged between 15 and 20 years, have the opportunity to study there. With an innovative online educational programme managed by the ‘University of Technology of Monterrey’, the students complete their high school diploma over a period of two to three years, depending on their own educational level and speed. BTNC school is also offering a weekly boarding school, in order to avoid long journeys during the week for the students. The holistic concept of the school has a direct influence on the psychosocial and emotional development of the pupils. Also it consciously integrates the Nahua culture into the lessons. The aim is to bring the young people closer to the cultural, natural and human resources available in the region and to point out professional perspectives in their home region. In addition, a sense of responsibility for the rural development of their communities is promoted. During their stay at BTNC-school, the pupils learn not only theoretical contents, but also acquire practical skills. The pupils take part in a products’ cooperative or in childcare activities during their training. The products’ cooperative is aimed at enabling the students to design, produce and sell products that can be of interest to local tourism. Some of the products are produced by the students’ families, and some are produced by themselves. Currently the cooperative is selling local fruit wine, pepper, cinnamon, and handmade notebooks. On the other hand, the childcare activities are sometimes done in alliance with local kinder garden schools and sometimes kids from the community are invited to participate. The students learn and also teach parents from the community how to spot important growth milestones, along with other basic parenting tips. In addition, extracurricular activities such as mentoring programmes, lectures and group activities are carried out. A project on food sustainability explains to the students how to use and protect the natural resources that surround them. In this way the pupils learn specific knowledge about agriculture. The products grown in the agricultural courses are eaten in the kitchen of the boarding school. Any extras are then sold to the community on the local markets. Starting from the third year of their studies, young people are encouraged to participate in development projects of other NGOs. Here they become active in organisations that lie in their interest. For example, in organisations that campaign for gender equity or cultivate indigenous corn types. The financial support of the Lemonaid & ChariTea Foundation mainly flows into the institutional funds of the school. These include the financing of salaries for staff and teachers, as well as the costs of workshops, teaching and the maintenance for the weekly boarding school. The vision of the project is to support the integration of the indigenous population into Mexican society and to accompany the personal development of indigenous youth. They grow up as proactive members in their municipalities and actively contribute to the well-being of their communities. Tijiohtli is responding to this vision by offering a school with an innovative teaching model and culture-specific teaching.